So far this month, Ms. Lehnert has collaborated with Mme. Vicari, and Ms. Hull. Division 3 (Gr. 6/7 French Immersion) is continuing work on a Readers’ Theatre unit started at the end of January. 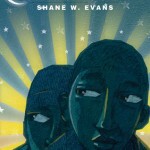 What is the value of Readers’ Theatre? it is a FUN way to learn the Language Arts curriculum! Students in Division 3 will be performing scripts that have already been written, and will then move on to adapting a picture book story into a Readers’ Theatre script. The final project will be writing and performing an original script. So far, the students have been enjoying the unit and have had lots of fun performing pre-written scripts! Ms. Hull’s grade 7 class is continuing genre studies this month. We are currently looking at the features of Historical Fiction. 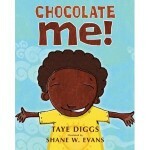 With February being Black History Month, it is the perfect time to look at the different types of Historical Fiction. 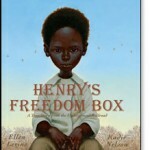 We have read Henry’s Freedom Box by Ellen Levine, a powerful true story of a slave who escaped to freedom in the late 1800’s. 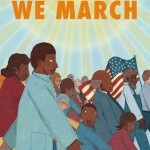 Will will be discovering more history in the weeks to come, through picture books and novels. Coming soon…Division 2 looks at Ancient Greece. Stay tuned! During this month we recognize the contributions of African-Canadians and African-Americans to North American culture and history. There is a display in the library showcasing stories about African-Americans, or stories written by famous African-American authors. We have nonfiction biographies about Martin Luther King Jr., Rosa Parks, Ruby Bridges, President Barack Obama and famous athlete Michael Jordan. Stop by and see the collection.